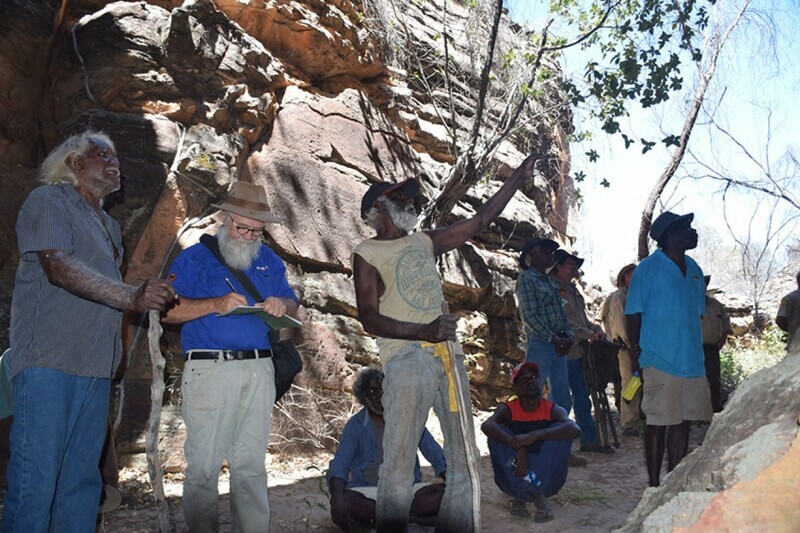 The Parks and Wildlife Commission of the Northern Territory (PWCNT) has implemented a rock art survey project across the Limmen National Park to produce a comprehensive inventory of rock art sites with a view to increasing standards of cooperation and building stronger and mutually respectful relationships between PWCNT staff and Aboriginal custodians and developing management plans to help protect and preserve the rock art. Figure 1. 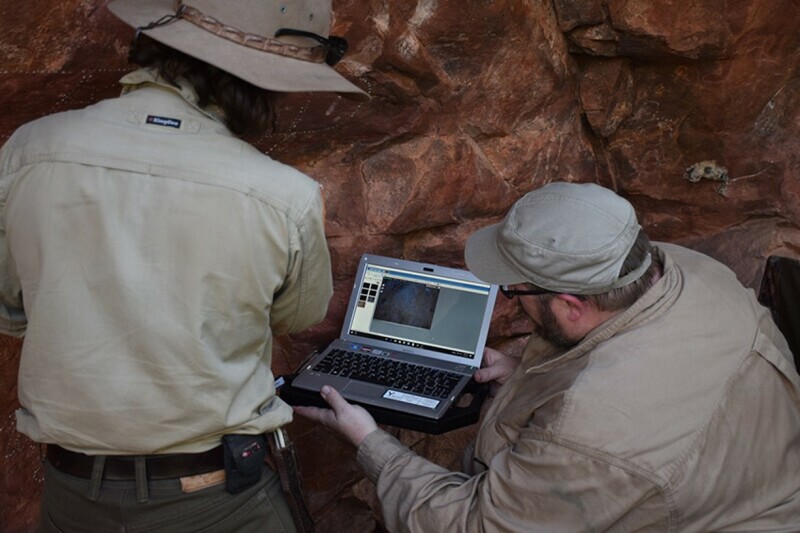 PWCNT Ranger Diane and project archaeologist Daryl Wesley setting up the camera to access the state of the rock art pigment at greatly magnified levels. Figure 2. 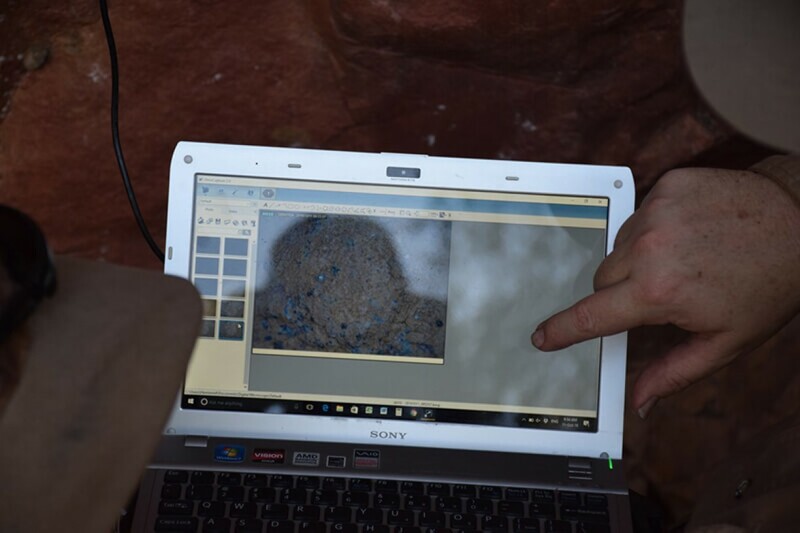 Capturing the magnified image of the rock art pigment on computer. Figure 3. View of the magnified image of the rock art pigment. Figure 4. 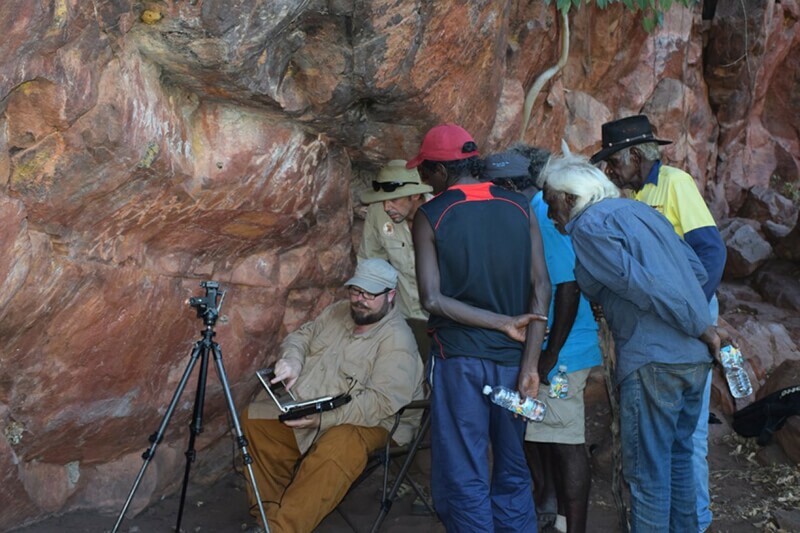 Custodians examining the magnified images taken of the rock art pigment. Figure 5. 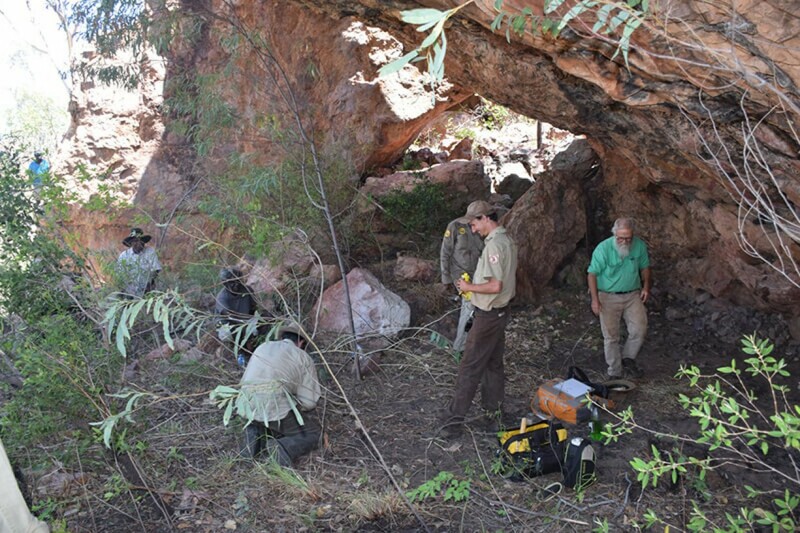 Custodians and rangers examining the magnified images of the rock art pigment. Project consultant Peter Cooke is preparing to take a photograph. Figure 6. 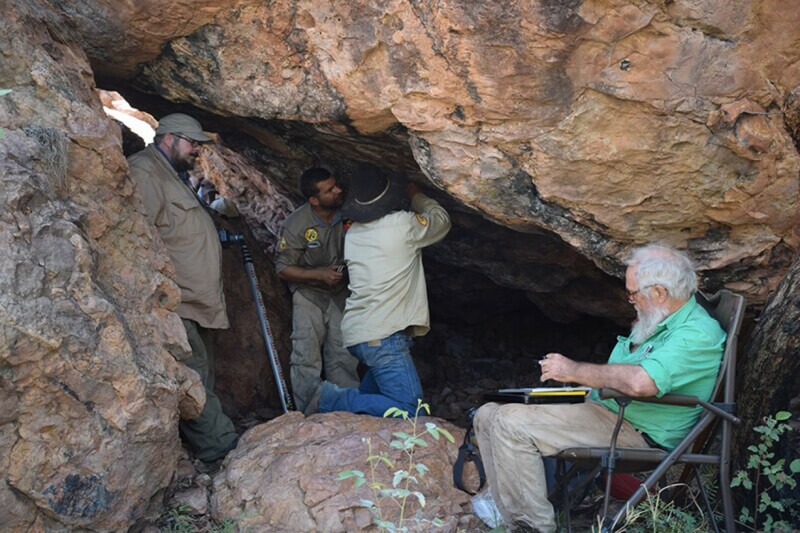 Project archaeologist Daryl Wesley and Sea Rangers David and Stephen Barrett getting into a tight position to record and assess rock art. Project consultant Peter Cooke taking notes. Figure 7. 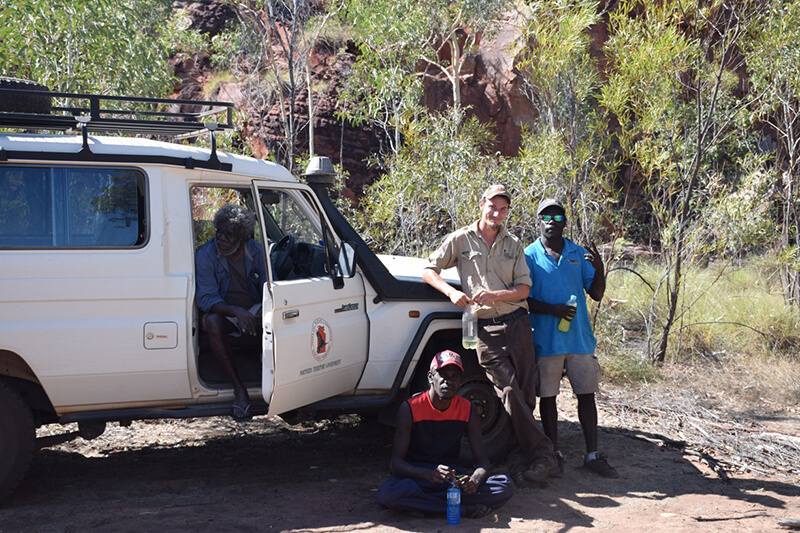 Ranger James with custodians Paul Numamurdirdi (seated in the vehicle) Esmond Numamurdirdi and Keenan Rami (seated on the ground) at the area known as West Lost City. Figure 8. 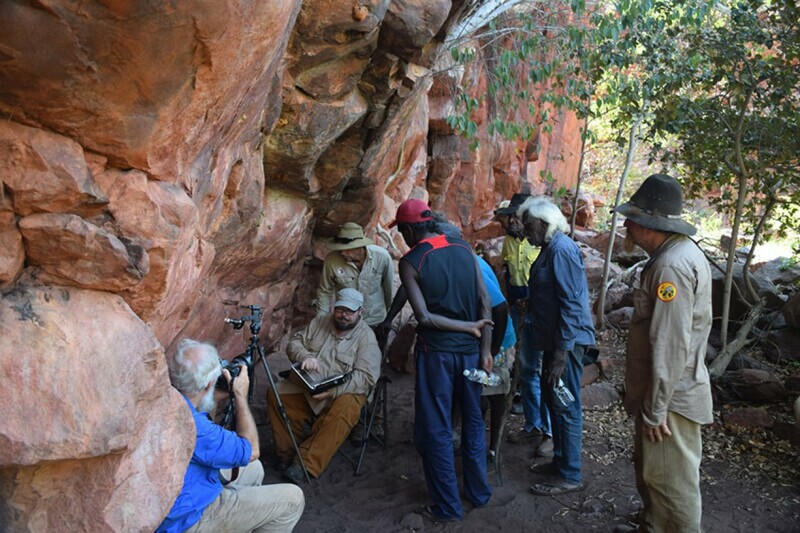 Henry Djuluba Numamurdirdi and Peter Cooke discussing the rock art at one of the sites at West Lost City. Figure 9. 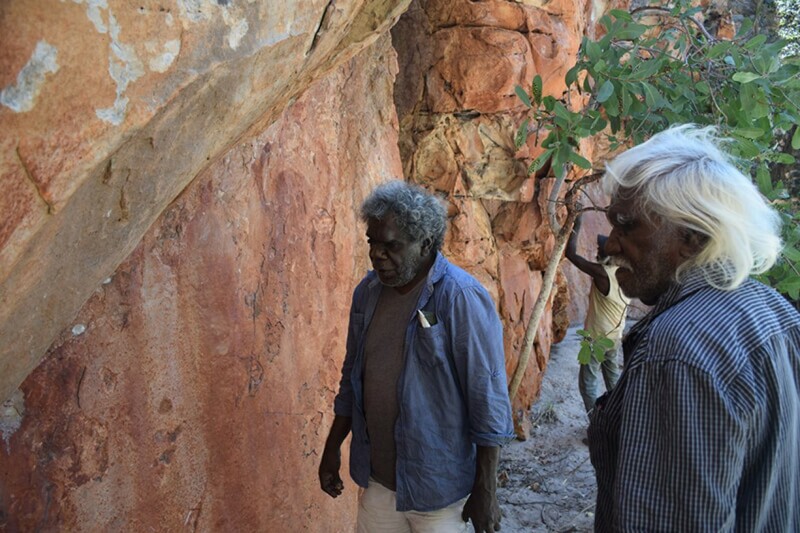 Paul Numamurdirdi and Walter Rogers viewing some of the rock art at West Lost City. Figure 10. 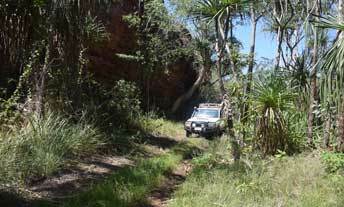 Heading into a small gorge area of rock art at West Lost City. Figure 11. 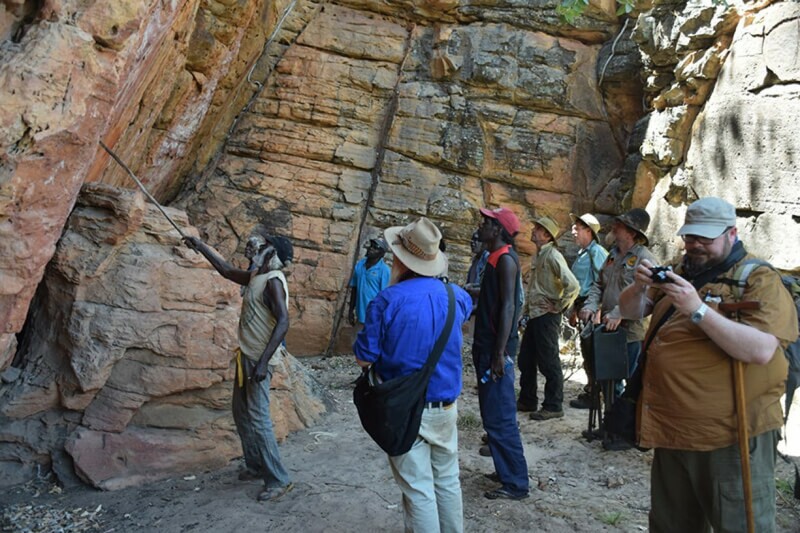 Discussing the rock art at West Lost City. Figure 12. 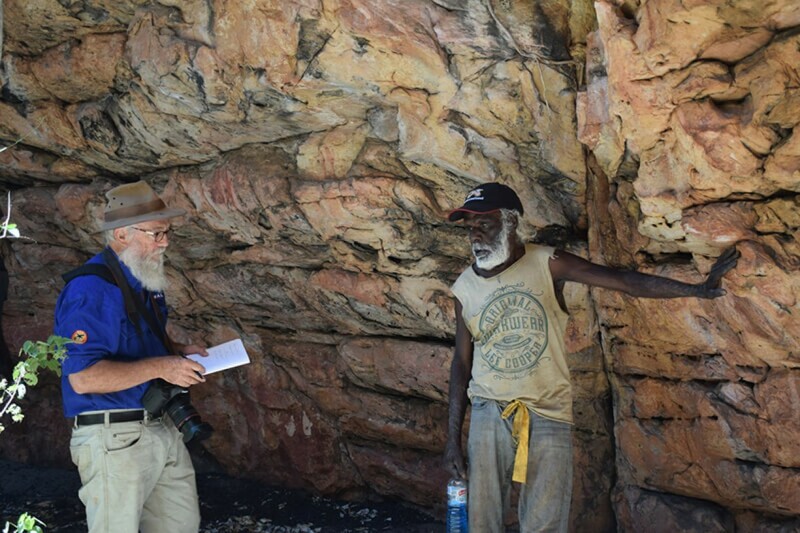 Walter Rogers and Henry Djuluba Numamurdirdi discussing the rock art at West Lost City. Figure 13. 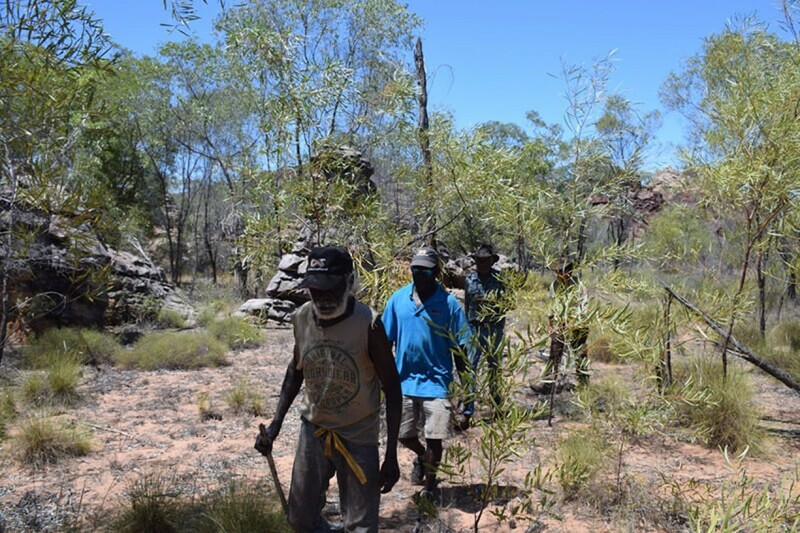 Clearing vegetation from a rock shelter. 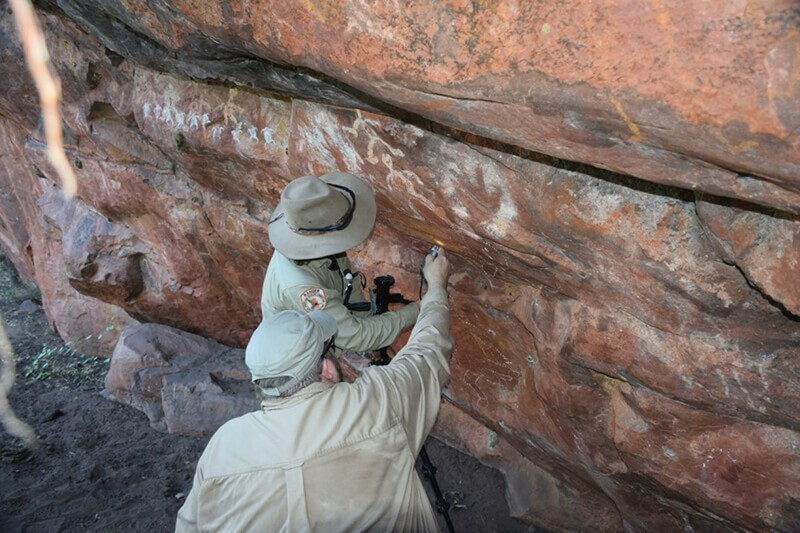 This is one management technique to protect rock art from fire damage.